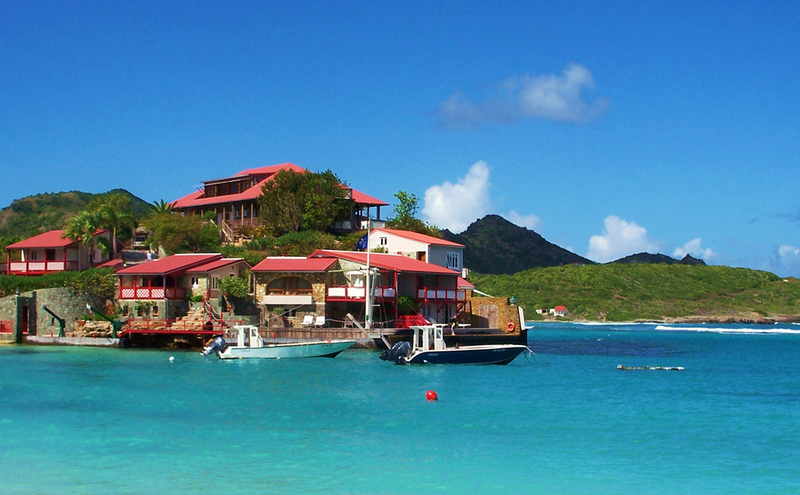 Amazing sea attractions in Saint Barthelemy you expect if you visit this small Caribbean island. In the past it was part of Guadeloupe, but a referendum in 2007 is a separate autonomous state. 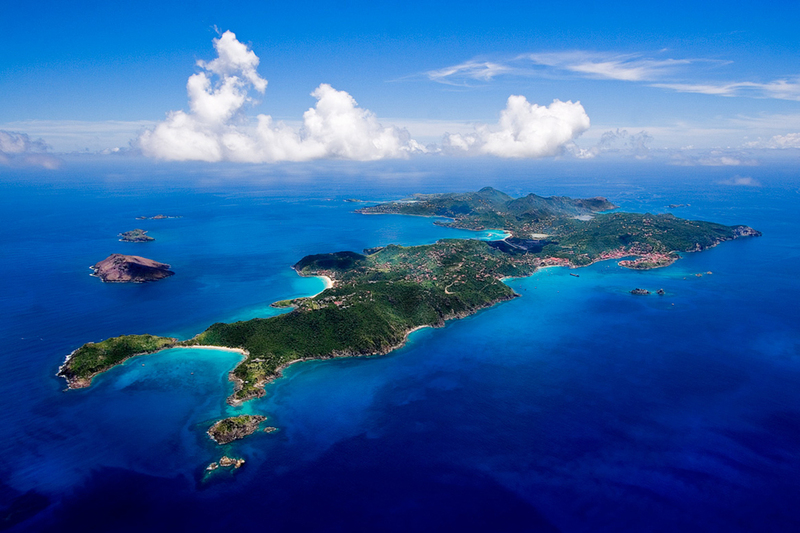 An interesting fact is that the island of Saint Barthelemy isn't a tax haven for the rich people. Another interesting information is that all beaches are privately owned. Overall coastline is rocky, but there are some beautiful beaches suitable for swimming. The area of the island is 21 square kilometers and good will for a day can be toured on foot. 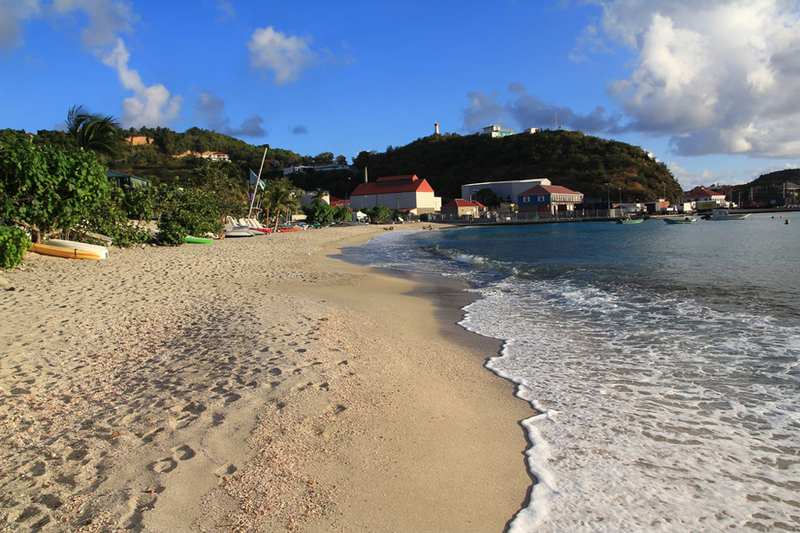 Seaside attractions in Saint Barthelemy may be also some coral reefs and small islands which are uninhabited. Suitable for underwater tours for lovers of snorkeling. The climate is tropical with nearly constant temperatures throughout the year. 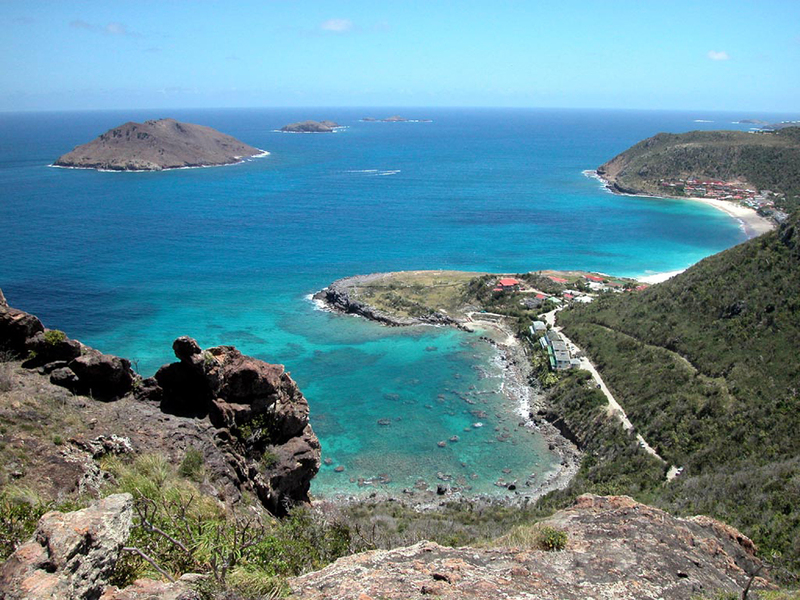 The terrain is flat along the coastline and in the interior of the island is hilly with the highest point 286 m. The island of Saint Barthelemy no fresh water sources and rivers. 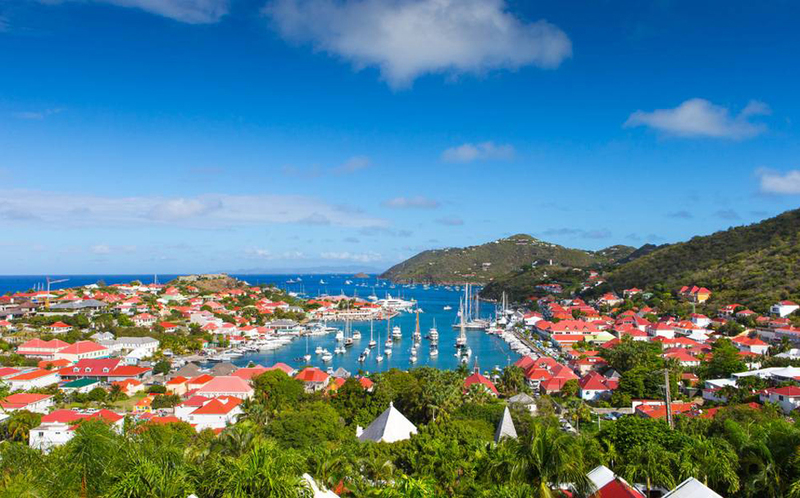 A typical view of this small Caribbean island are many red roofs of the houses built in the colonial style. This popular world destination for rich people on Earth. Properties here are David Rockefeller and gas magnate Roman Abramovich. Of course the island are the remains of three French forts that are partially restored and a small church from the 19th century. 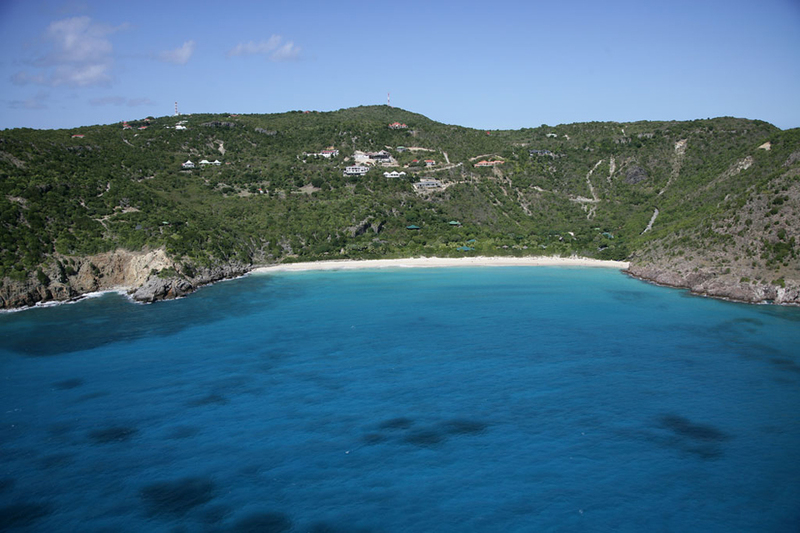 The most frequent visitors to this paradise come with yachts of the larger neighboring island of St. Martin and Barbuda. 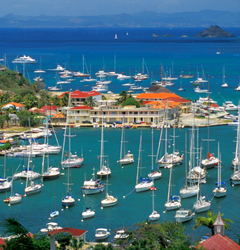 You can see pictures of the beautiful view of the historic town of Gustavia moored in the bay sea yachts. 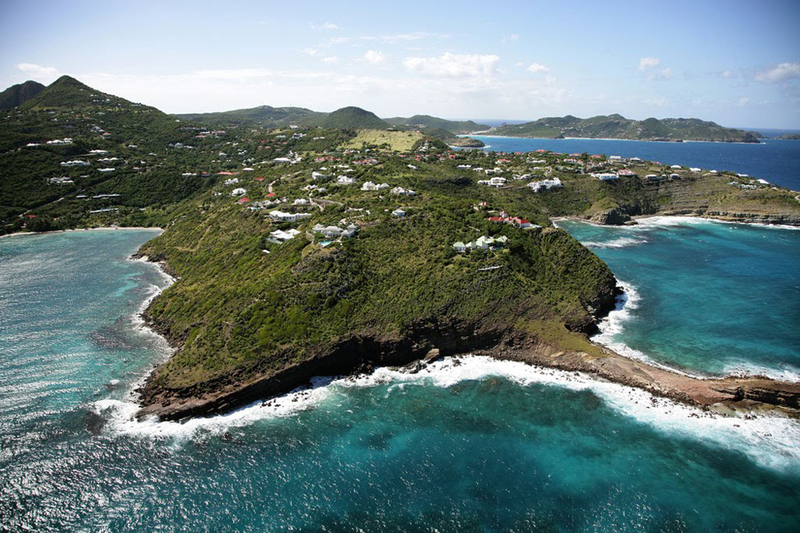 Here is a complete list of the most interesting attractions in Saint Barthelemy. 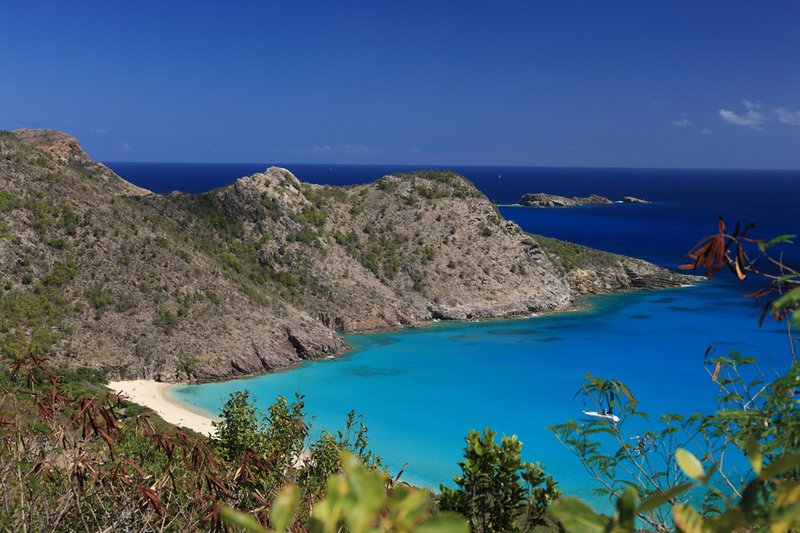 Around the island there are five marine protected areas. Everything is very well controlled and protected from overexploitation. You have the choice whether to take a boat trip and go fishing or diving to marine protected occupation. 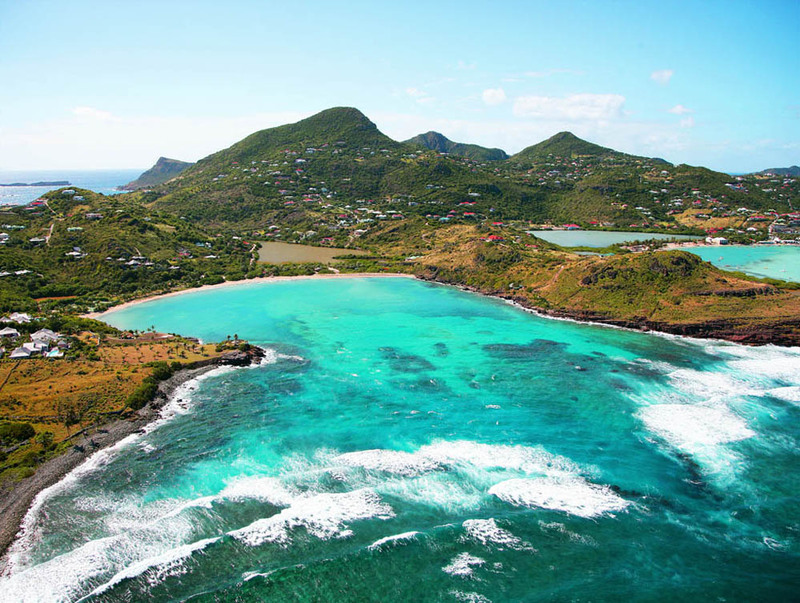 The island has 14 beaches, which are very well maintained: Shell Beach, Colombier, Naturel Gouverneur beach and surfers Anse des Cayes. Visit Inter Oceans Museum. 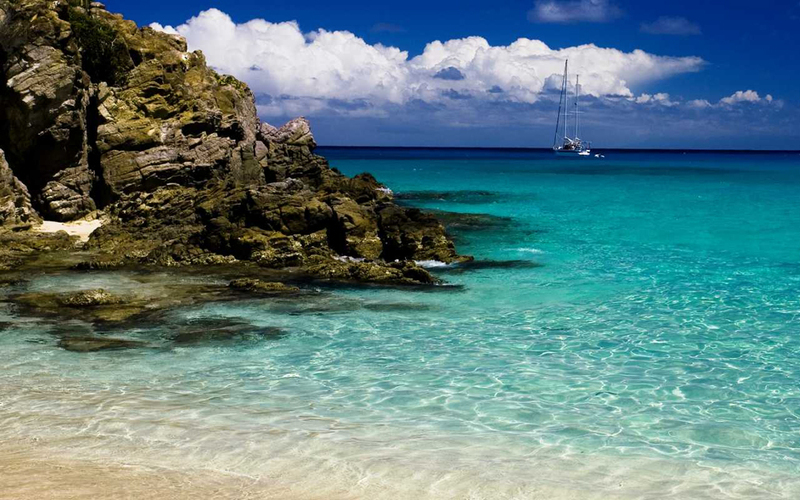 There is a rich collection of shells and anything that brings the sea around the island of Saint Barthelemy. Collection of seafood is increasing every year. There is a special person who inspects each shell before it gets into the museum collection. Since 1995 there is an additional attraction on the island, namely underwater tour with the so-called Yellow Submarine. It is equipped with 22 seats for tourists who can watch the underwater beauty of the coral reefs around the island of Saint Barthelemy. This interesting vessel never actually immersed. Yellow Submarine goes from dock in Gustavia twice a day with hourly tours around the reefs. When you are lucky in the slanted windows of the submarine to see loggerhead turtles and many colorful large and small fish.